There are many benefits to using cheques. 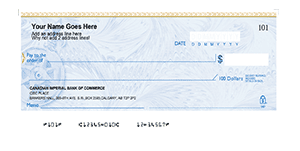 If you use cheques for your transactions in your Montreal business, your business operations will go on much smoothly. For one thing, cheques are more secure to use. Only the person who has been issued with the cheque can encash it. The bank will ask for verified IDs before giving approval. Additionally, business owners in Montreal, especially those that often deal with large sums of money no longer have to carry a lot of money in every transaction. We have a team of experts ready to help you in choosing colors and the right type of cheque to use for your business in Montreal. You don’t have to do a lot of research or drive to the printing companies in Montreal. Just call us or contact us online and you will have your answers. Ordering from ChequesNow is easy. Our ordering system is one of the most convenient ordering systems around. Choose the design you want and the type of cheque you need and we will do the rest for you. You can also take advantage of our next day delivery system to get your cheques fast. 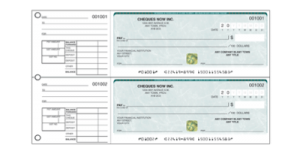 Use our re-order form to get regular supply of cheques. Our re-order form allows you to use the same order transaction so you can get your cheques without having to go through the order process again. Only when you need to change your orders will you contact us. Our cheques are made from the best and bank-quality materials. You won’t have any problems with your cheques. The materials can manufacture cheques that will no longer require verification from banks. They are ready to use once you receive them. You can also get more cheques when you order from ChequesNow. 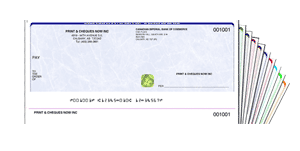 For your usual budget, you will have more supply of the type of cheque you need.